How does a Microscope work ? A great deal of optical science is involved in answering the question "how does a microscope work?" A simple microscope has one lens and is essentially a loupe or magnifying glass with a relatively high magnification. The basic modern microscope found in schools, hospitals, and research centers is a compound microscope which has a series of lenses to collect and focus the light transmitted through the specimen. More sophisticated and specialized microscopes, such as an electron microscope, use the same scientific principles as their conventional counterparts even though they operate in a different manner. Discussing the different components comprising a microscope is necessary to explain how a microscope works? 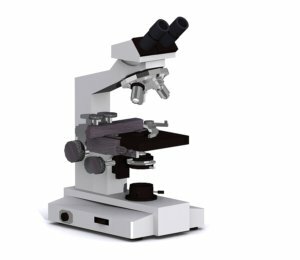 Simply, a microscope is a framework to contain the lenses and serve as a platform for stable viewing and a platform for other peripheral components that are used to improve the image quality. The lenses are the essence of the microscope and are at the heart of the question - how does a microscope work? A compound microscope has two or more lenses. The eyepiece or ocular lens sits atop the body tube. Many microscopes are binocular and have two ocular lenses. Additionally, a binocular head will have a prism, either in the head or the body tube, to split the image and direct it to both oculars. The oculars have different available magnifications, but usually less than the power of the objective lenses. The objective lenses are at the bottom of the microscope tube nearest the specimen; they gather and focus the light transmitted from the specimen. Usually three or four objectives of different strengths will reside in a revolving turret, and magnification may be changed by turning the turret to line up a different lens with the body tube. Objective magnification strengths usually range from 10X to 100X. Fine and coarse focusing adjustments are accomplished with focusing knobs located on the body of the microscope. The specimen sits directly below the objectives on the microscope’s stage. Clips on the stage hold the specimen slides in place for stable viewing. A mechanical stage allows precise movement of the specimen along the X and Y coordinates and graduated markers allow the viewer to note the location of features on the slide. A hole or aperture in the stage allows light to illuminate the specimen. Below the stage, a diaphragm, condenser, and light source control light emission and distribution to the specimen. At the bottom of the optical train is the illumination source. In a simple microscope, the light source may be ambient light collected and reflected upwards into the aperture by a small mirror. The type of illumination source will increase in sophistication as a microscope’s complexity increases. Tungsten-halogen, mercury arc, and metal halide lamps, as well as LED illumination provide different types of light to meet certain viewing requirements. Some microscopes have a condenser directly above the light source. This device is actually a lens that gathers light and focuses it into a cone directed at the specimen. A diaphragm controls the diameter of the light beam before it finally passes into the specimen. Different types of condensers are manufactured for specialized viewing needs. To be useful, a microscope must accomplish three things: it must magnify the object you are trying to view, resolve the details of the object, and make these details visible. 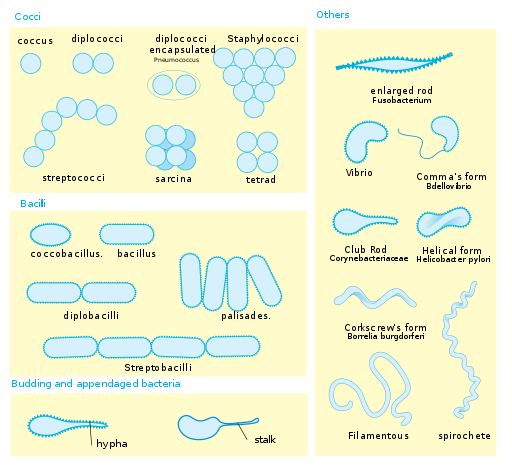 Understanding these ideas is the first step to learning how a microscope works. The optical or light microscope uses visible light transmitted through, refracted around, or reflected from a specimen. Light waves are chaotic; an incandescent light source emits light waves traveling in different paths and of varying wavelengths. Some of the lenses in a microscope bend these light waves into parallel paths, magnify and focus the light at the ocular. 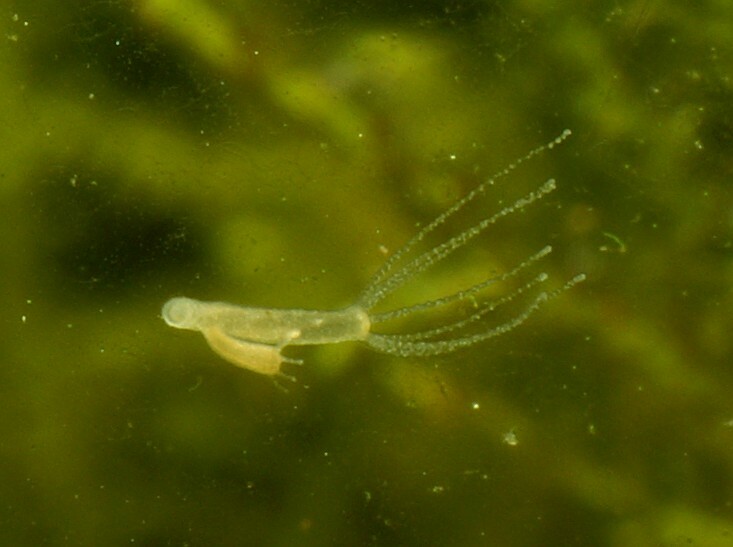 The power to enlarge the image of the specimen when viewed through a microscope is known as the magnification and is dependent upon how much the lenses bend the light waves. Magnification is expressed in numeric multiples of how much enlargement occurs with a lens. If the magnification of a lens is 2X then it roughly doubles the size of the image of the object. With a compound microscope, the total magnification can be determined by multiplying the magnifications of the objective and ocular lenses. Consequently, an ocular lens of 10X coupled with a 40X objective yields a total magnification of 400X. However, the higher the magnification the closer the lens must be to the specimen. Since a higher magnification lens bends light more severely, the specimen is brought into focus a shorter distance from the lens and this is known as the focal length. Generally, a lens providing higher magnification will also provide better resolution. 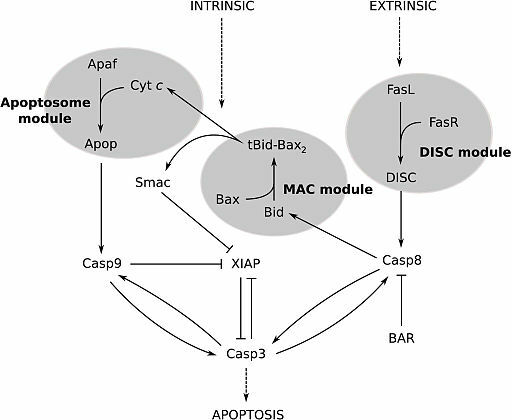 These two factors working together are very important in determining how a microscope works? The resolution of a specimen is highly dependent upon the light waves. The shortest distance between two points that the microscope can define as clearly being separate points is the resolution of the microscope. 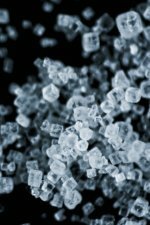 Pictured left: microscope image of salt crystals. Resolution is perhaps more important than magnification in understanding how a microscope works? If the points cannot be clearly focused then they are closer together than the resolution of the microscope and, regardless of the magnification, the image quality will be poor. The resolution is determined by the frequency of the light waves illuminating the specimen and the quality of the lens. A rule of optical physics is that the shorter the wave length the greater the resolution. Usually expressed in microns, the best resolution a light microscope can produce is 0.2 microns or 200 nanometers. Discounting the light source, a lens having a resolution of 0.5 microns won’t resolve points as close together as a 0.3 micron lens. Contrast is another important ingredient in how a microscope works. High magnification and resolution won’t guarantee that you will actually see the image of the specimen. If all of the light passes through a cell no details will be visible. Some light frequencies must be absorbed to different degrees by structures inside the cell and this allows you to see the specimen. Using a microscope’s condenser or diaphragm, the size and intensity of the light beam can be modified. A narrow beam provides higher contrast. Staining the specimen may be necessary to obtain the contrast you need to view the details of your sample. As previously mentioned, optical microscopes are limited in resolution by the frequency of the light waves. Electron guns emit a flow of electrons of a considerably shorter wave length than visible light and this fact allows an electron microscope to have higher resolution and magnification. In many ways, an electron microscope functions similarly to an optical scope except that, instead of visible light, a stream of electrons is used to illuminate the specimen. The electron beam is focused with magnetic lenses. Changes to the electron beam inside the specimen are recorded and an image is formed based upon these changes. Whether a simple, compound, or electron microscope, the same rules of physics determines the answer to the question "how does a microscope work?" Electromagnetic waves in some form or fashion are focused onto the specimen to allow its details to be observed. Magnification, resolution, and contrast have to work together to achieve the best possible image. If you're also interested in reading about how the study of microscopy evolved then follow the link to check out cell theory. 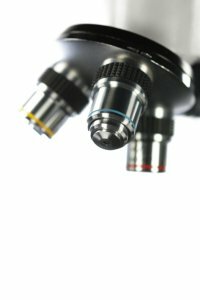 Here's some interesting microscope facts for you to enjoy!